Wholesale Baby Loads Liquidation, Baby Loads salvage Closeouts, surplus Baby Loads Overstock, Baby Loads clearance merchandise. Wholesale Baby Products Closeouts and Liquidations! We carry a HUGE selection of closeouts on wholesale baby products and closeout baby items! These items include specials on cribs, walkers, strollers, safe steps, potties, toys, clothing, domestics,and more including: baby clothes wholesale, wholesale baby items, baby furniture wholesale, wholesale baby blankets, baby clothing wholesale, wholesale baby bibs, wholesale baby gift, wholesale baby diaper, baby supply wholesale, baby bottle wholesale, wholesale baby cribs, baby bedding wholesale. Click here to request more information on baby products wholesale by the pallet, piece or truckload. All at below wholesale prices! Amazon.Com Baby Load: Huge variety of top brand-name baby products. May contain customer returns and shelf-pulls/overstock items: strollers, car seats, baby clothing, bikes, high chairs, mattresses, cribs, baby and infant accessories, and much more. FOB Ohio. Call for merchandise availability and updated prices. All New Baby Products: Manufactures overstock. All items are in boxes. No damages. Mixed baby gear and play yard items. Loads may contain: strollers, double strollers, infant car seats, toddler car seats, bassinets, high chairs, bouncers, swings, gates, baby carriers, and much more. 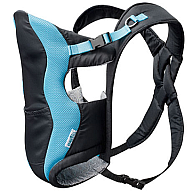 Huge selection of brand names: Baby Jogger, Britax, Chicco, Evenflo, Graco, Joovy, Phil & Teds, Peg Perego, Mountain Buggy, Mia Moda, Maxi Cosi, Quinny, Safety First, Maclaren, Valco, Inglesina, Baby Trend, and many others. Pallets are 8' tall. FOB Florida. Exclusive Offer: TRS Baby Products: A 40' HQ container (approximate volume of 53' trailer), filled with a huge variety of top brand-name baby products. May contain customer returns and shelf-pulls/overstock items: strollers, car seats, baby clothing, bikes, high chairs, mattressess, cribs, baby and infant accessories, and much more. Please call for special price. FOB California, and Oklahoma. High-End Baby Products from the #1 Baby Store in America. : Huge selection of baby products loads which may include items such as: strollers, car seats, rocking chairs, changing tables, walkers, furniture, and much more. FOB Pennsylvania, Texas. Exclusive offer - Super buy! Diapers and Paper and Feminine Products from Kimberly-Clarke: Huge selection of the world's most recognized brands. A nice variety of items: diapers, paper products, tissues, paper towels, feminine products, baby items and much more. Minimum order is 1 lote (3 pallets). Also sold by the truckload. Please call for merchandise availability and special prices. FOB Florida. 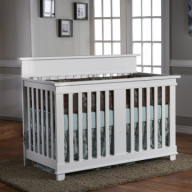 Brand-Name Baby Furniture from the #1 Baby Store in America: Beautiful mixture of high-end baby furniture such as: changing tables, dressers, and much more. First quality merchandise. All new in original boxes. FOB Pennsylvania. Call Now For Super Low Price! We beat any price! 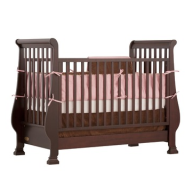 High-End Baby Cribs from The #1 Baby Store in America: All new cribs in original boxes. Excellent quality. Assorted styles and sizes. High-end brands! FOB Pennsylvania. Call for super low price! We beat any price! Kmart Baby Loads: These loads contain a mixture of store returns and may contain overstock merchandise. A huge variety of items such as cribs, walkers, strollers, safe steps, potties, toys, clothing, domestics and much more. Call for pricing and availability. Please call. Baby Furniture: All new in original boxes. Huge selection of items. 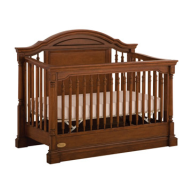 Assortment of cribs, dressers, convertible cribs, armoires, chests. All except cribs preassembled. Not knock-down (KD). Top quality, high-end products: no pressed cheap wood. All real, solid hardwood. Many different Italian, American, and Canadian Brands such as Pali, Ragazzi and others. Each truckload contains 24 pallets and approximately 100-125 pieces per load. FOB NJ. Each load contain approximately $70,000 retail value. Call for super deal. All New 1st Quality Infant and Baby Products and Accessories: Huge selection of items may contain a mixture of bathing bibs and burp cloths, bottles, brushes and feeding accessories, cups and dishes, disposables, gift sets, healthÂ aids, toys, hygiene products, layettes, nursery accessories and grooming, pacifiers and holders, photo frames, shawls, rattles, safety and travel items, shoes, socks, teeters, toys and squeeze, winter, holiday and gift bags, and much more. Each pallet contains approximately 3000 pieces. Your cost is as low as $0.95 each. FOB Florida.